Even though the current Dodge Challenger was introduced as new for the 2015 model year, there have been rumors of major changes coming for the 2016 model year and now the 2017 model year. 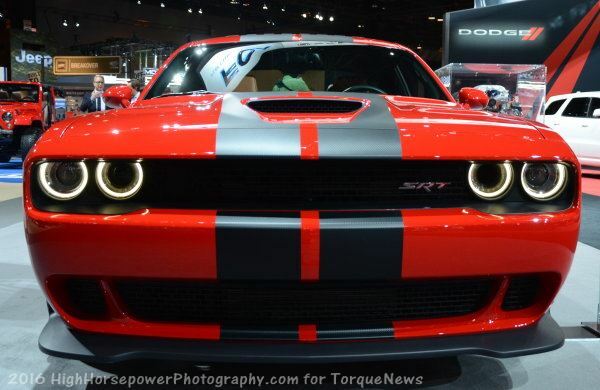 Obviously, we have seen that these rumors of major changes for the 2016 model year turned out to be false and as new, yet very similar, rumors have kicked up for the 2017 Challenger – I am once again here to insist that there will not be any huge changes for the 2017 model year. Why No Changes in 2017? The rumors floating around the internet insist, once again, that 2017 will be the year in which the Dodge Challenger goes from being the big, brawny muscle car that it has been since being reintroduced for the 2008 model year to something smaller – more like the modern Ford Mustang or Chevrolet Camaro. There is most certainly a chance that the Challenger will eventually become smaller in order to better compete with the Mustang and Camaro, but it won’t be happening for 2017. If you look at the launch of pretty much any modern vehicle, they go on sale relatively early in the calendar year preceding the corresponding model year. For example, the new 2015 Dodge Challenger went on sale late in 2014. The new 2015 Ford Mustang also went on sale late in 2014 and the new 2016 Camaro went on sale officially late in 2015. If the next generation Dodge Challenger was set to launch for the 2017 model year, it would likely arrive late in the summer of 2016 (if not sooner) and in all reality, if we were going to be able to buy the next generation Challenger in a few months – we most certainly would have been introduced to it by now. When the next generation Challenger does arrive, we will almost certainly meet it at least a few months in advance at a major auto show such as Detroit, LA, Chicago or New York. If there are any changes to the 2017 Challenger lineup, I would expect them to be limited to a couple of new exterior colors and – if anything remotely major is announced – I would expect it to be some sort of lighter weight Hellcat model. The Hellcat is a remarkable machine, but there is no question that it comes with a collection of features that you don’t need to go fast. Removing some of the luxury items and essentially making a Hellcat Core model would lower the price and the curb weight. The prevalent rumor over the past few years is that the 2018 Dodge Challenger will bring about the next generation of the modern Mopar muscle car. There has been no official word to support any of these rumors, but a handful of insider sources have suggested that 2018 could be the year that the Challenger finally moves to a new platform. The current Dodge Challenger has ridden on the same basic architecture since being introduced back in 2008, so even with the strong sales over the past year, the Challenger is due for a complete refresh. Rumors suggest that the next generation Challenger will be based on the same chassis platform as the new Alfa Romeo Giulia, which should make the Challenger smaller and lighter, but how much smaller? Once advantage that the modern Challenger has always had over the Mustang and Camaro is that the back seat can actually be used by adults, but shrinking the Challenger down to more closely compete with the cross-town rivals could kill rear seating space. However, if Dodge can preserve space and cut the weight down, the current engine lineup could allow the next Challenger to make short work of the newest Mustang and Camaro. Don't see the Challenger "shrinking" any time soon. At least I hope not! It's a perfect modern muscle car. That new 'Cuda looks like the direct competitor for the Camaro and Mustang. All 3 can have that Euro-poached round bubble design.